Humans are visual creatures. Objects we call "beautiful" or "aesthetic" are a crucial part of our humanity. Even the oldest known examples of rock and cave art served aesthetic rather than utilitarian roles. Although aesthetics is often regarded as an ill-defined vague quality, research groups like mine are using sophisticated techniques to quantify it – and its impact on the observer. We're finding that aesthetic images can induce staggering changes to the body, including radical reductions in the observer's stress levels. Job stress alone is estimated to cost American businesses many billions of dollars annually, so studying aesthetics holds a huge potential benefit to society. My scientific curiosity was stirred when I learned that many of nature's objects are fractal, featuring patterns that repeat at increasingly fine magnifications. For example, think of a tree. First you see the big branches growing out of the trunk. Then you see smaller versions growing out of each big branch. As you keep zooming in, finer and finer branches appear, all the way down to the smallest twigs. Other examples of nature's fractals include clouds, rivers, coastlines and mountains. In 1999, my group used computer pattern analysis techniques to show that Pollock's paintings are as fractal as patterns found in natural scenery. Since then, more than 10 different groups have performed various forms of fractal analysis on his paintings. Pollock's ability to express nature's fractal aesthetics helps explain the enduring popularity of his work. The impact of nature's aesthetics is surprisingly powerful. In the 1980s, architects found that patients recovered more quickly from surgery when given hospital rooms with windows looking out on nature. Other studies since then have demonstrated that just looking at pictures of natural scenes can change the way a person's autonomic nervous system responds to stress. 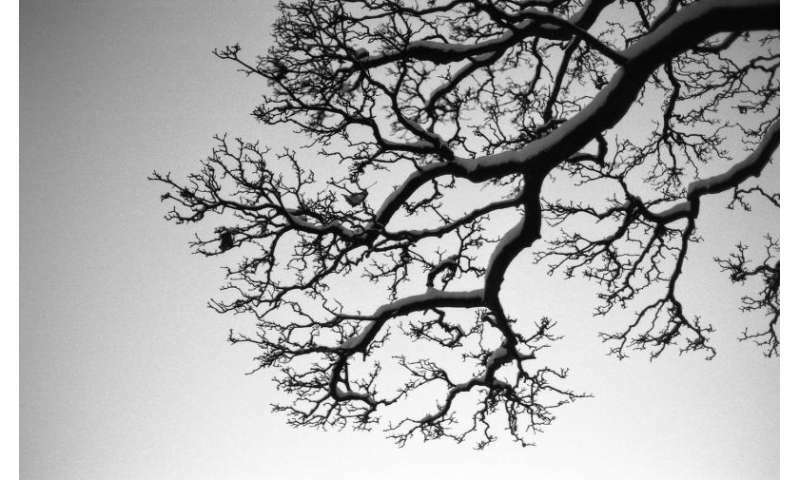 For me, this raises the same question I'd asked of Pollock: Are fractals responsible? Collaborating with psychologists and neuroscientists, we measured people's responses to fractals found in nature (using photos of natural scenes), art (Pollock's paintings) and mathematics (computer generated images) and discovered a universal effect we labeled "fractal fluency." Through exposure to nature's fractal scenery, people's visual systems have adapted to efficiently process fractals with ease. We found that this adaptation occurs at many stages of the visual system, from the way our eyes move to which regions of the brain get activated. This fluency puts us in a comfort zone and so we enjoy looking at fractals. Crucially, we used EEG to record the brain's electrical activity and skin conductance techniques to show that this aesthetic experience is accompanied by stress reduction of 60 percent – a surprisingly large effect for a nonmedicinal treatment. This physiological change even accelerates post-surgical recovery rates. It's therefore not surprising to learn that, as visual experts, artists have been embedding fractal patterns in their works through the centuries and across many cultures. Fractals can be found, for example, in Roman, Egyptian, Aztec, Incan and Mayan works. My favorite examples of fractal art from more recent times include da Vinci's Turbulence (1500), Hokusai's Great Wave (1830), M.C. Escher's Circle Series (1950s) and, of course, Pollock's poured paintings. 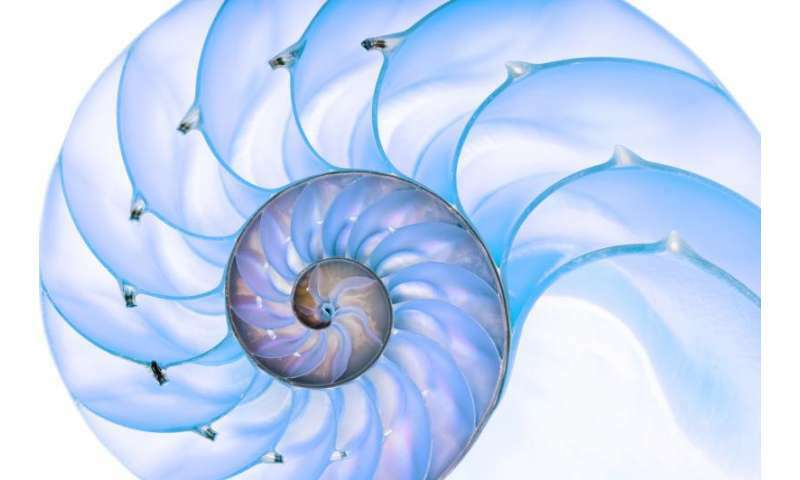 Although prevalent in art, the fractal repetition of patterns represents an artistic challenge. For instance, many people have attempted to fake Pollock's fractals and failed. Indeed, our fractal analysis has helped identify fake Pollocks in high-profile cases. Recent studies by others show that fractal analysis can help distinguish real from fake Pollocks with a 93 percent success rate. How artists create their fractals fuels the nature-versus-nurture debate in art: To what extent is aesthetics determined by automatic unconscious mechanisms inherent in the artist's biology, as opposed to their intellectual and cultural concerns? In Pollock's case, his fractal aesthetics resulted from an intriguing mixture of both. His fractal patterns originated from his body motions (specifically an automatic process related to balance known to be fractal). But he spent 10 years consciously refining his pouring technique to increase the visual complexity of these fractal patterns. Pollock's motivation for continually increasing the complexity of his fractal patterns became apparent recently when I studied the fractal properties of Rorschach inkblots. 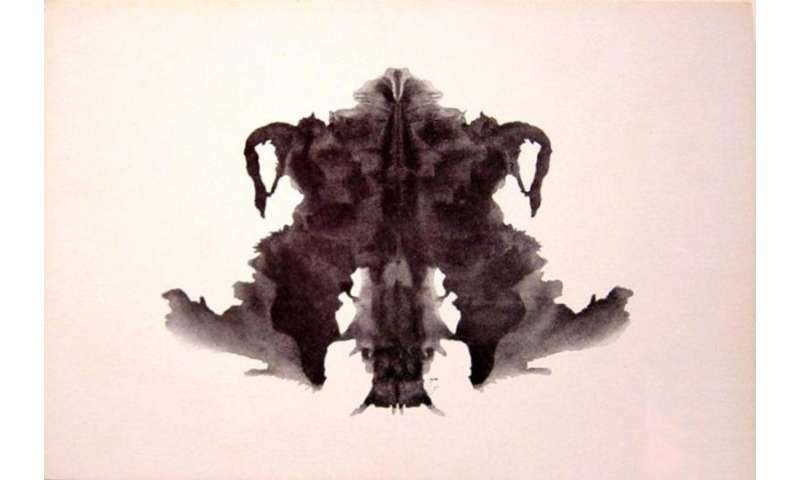 These abstract blots are famous because people see imaginary forms (figures and animals) in them. I explained this process in terms of the fractal fluency effect, which enhances people's pattern recognition processes. The low complexity fractal inkblots made this process trigger-happy, fooling observers into seeing images that aren't there. Pollock disliked the idea that viewers of his paintings were distracted by such imaginary figures, which he called "extra cargo." He intuitively increased the complexity of his works to prevent this phenomenon. Pollock's abstract expressionist colleague, Willem De Kooning, also painted fractals. When he was diagnosed with dementia, some art scholars called for his retirement amid concerns that that it would reduce the nurture component of his work. Yet, although they predicted a deterioration in his paintings, his later works conveyed a peacefulness missing from his earlier pieces. Recently, the fractal complexity of his paintings was shown to drop steadily as he slipped into dementia. The study focused on seven artists with different neurological conditions and highlighted the potential of using art works as a new tool for studying these diseases. To me, the most inspiring message is that, when fighting these diseases, artists can still create beautiful artworks. My main research focuses on developing retinal implants to restore vision to victims of retinal diseases. At first glance, this goal seems a long way from Pollock's art. Yet, it was his work that gave me the first clue to fractal fluency and the role nature's fractals can play in keeping people's stress levels in check. To make sure my bio-inspired implants induce the same stress reduction when looking at nature's fractals as normal eyes do, they closely mimic the retina's design. When I started my Pollock research, I never imagined it would inform artificial eye designs. This, though, is the power of interdisciplinary endeavors – thinking "out of the box" leads to unexpected but potentially revolutionary ideas.